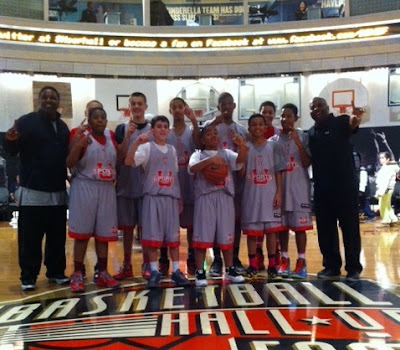 Team IZOD won the 2013 Junior Hoophall Championship over Metro Flyers 51-41. Jordan McKoy and Jalen Gaffney had 16 and 15 for Team IZOD. Dajaun Piper had 14 for Metro Flyers. Congrats to #1 Team IZOD for winning the championship. We look forward to seeing them at the Clash For The Cup.